When you work as a digital marketer, one of the most important topic is Audience. Technology is evolving so fast that we can control the entire user online journey by working with tools like Sequential targeting, remarketing or more recently Programmatic. Brands see a tremendous potential in targeting the right people at the right time with the right message. Here is a focus on programmatic, a forbidden topic so far for many luxury houses. Programmatic buying via Real time bidding and ad exchanges: basically it means that inventory is sold on a per-impression protocol. Thanks to a instantaneous auction, the advertiser can use multiple ad networks and optimize the campaign from a cost efficiency point of view. Shopping card abandonment emails: this is quite used by e-Retailers. The worst thing that can happen to a ecommerce website is an user who fills his basket with a selection of products and just before paying, he drops the card and leaves the website. Certain brands will send a targeted emailing to this person and according to some figures, brands successfully reconquer 20% of the missed sales. Dynamic Creative Optimization: nowadays advertisers can break ads into pieces. Each individual piece can be customized based on the targeted audience. So the idea is to deliver the right message to the right person. Several companies proposing DCO claim that there is a 100% increase of CTR vs a non-personalized campaign. Of course it requires a complementary effort in terms of assets production and availability. Product Recommendation: these systems or platforms will gather user information in order to propose products and services. Two interesting examples in the music business are Last.fm and Pandora Radio. It is a collaborative process, user generated. Different techniques and one goal: be the most accurate as possible in terms of media investment. While certain FMCG companies will use Programmatic in order to increase conversions and ROI, what is the deal for a luxury brand? While companies like Amazon became world champions of digital marketing, luxury brands have evolved in the digital landscape quite fast. For some of them, they have been developing digital strategies for almost 10 years now. Today they have the mastery of digital strategies and a few of them have even developed a digital savvy centre within the marketing and communication departments. The aim of these brands is to deliver a consistent message to their customers and potential customers across different platforms. These brands are well represented in Display advertising, Social Media and SEM. They have a strong mastery of their owned, earned and paid platforms and definitely embraced digital as part of their communication strategy. Brands like Cartier, Burberry or Dior are best practices in many ways. Do they all use programmatic? That’s a tricky question. In general the development model in digital for luxury brands came from a slightly different approach. While FMCG companies were obsessed by audience and ROI, luxury brands built during the years the ideas of exclusivity, uniqueness and partnership. By choosing the right media partners, they would not need to bother with audiences. The right environment means the right audience. Once the environment established or defined, luxury brands would spread their messages by developing strong relationships with media partners. These relationships would allow a better integration of the brand in the media website, more exceptional formats and a certain exclusivity for the brand. All these parameters would bring a perfect translation of the luxury environment that these brands live in. Potentially digital advertising in luxury has a strong correlation with the image of the company. Certain brands will even use some of their “accomplishments” for PR purposes. Would programmatic allow to keep or to improve this approach? Not really. Programmatic skip the partnership part. The main goal is to align audiences and messages. The website or the environment is just a delivery support that generally will standardize formats so it will make the dissemination easier. So what we lack with programmatic is the essentiality of luxury. Today, anyone can buy a banner. You just need to pay the price. The more you buy, the less you pay anyway, so it is not a big deal. 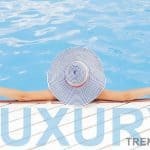 When luxury brands started investing the web, their aim was to bring a certain high-level of quality and uniqueness to their campaigns. Is there any good in programmatic for luxury brands? Sure. One interesting side of programmatic would be to address specific messages to specific audiences. Instead of having a homepage takeover with one strong message to everyone who might visit that website page, you could imagine several different messages displaying in the same homepage takeover. Each of these messages would be crafted towards a specific target group (age, revenue, location…). This would allow to maintain the qualitative work done by certain brands but would add an extra efficiency in terms of message delivery. So as we can see it is a love-hate affair between Programmatic and luxury brands. One simple question would be: do luxury brands still have the choice? Can they still cope without programmatic? Potentially the answer to this question would be: “less and less”. Above we described several advantages for advertisers to use and embrace programmatic. But what about publishers and media owners? What is programmatic bringing to them? From an editorial point of view, not much. In deed, as the main focus of programmatic is the audience, there is no correlation with the environment, meaning the same man, 35 years old, earning between $95’000 to $150’000 a year will see the same ad, no matter if it is a news site, a online lifestyle magazine, a sports site or even Social media. So we might see some editorial pressure on the advertising team. Nevertheless there are great advantages as well. Up to now, a website would sell each placement once a day to one advertiser. With programmatic the publisher would be able to sell each ad format several times simultaneously if each advertiser would target a different audience. This could amazingly increase the publisher’s revenue. That is why more and more publishers are embracing programmatic. Or at least they are dedicating part of their inventory to that. Companies like Condénast started already selling some of their inventory in the Condénast network through programmatic. Certain websites could even become media agencies by selling their audience to you, no matter if their audience will be in their websites or outside. So let’s imagine an online magazine that would place a cookie in its website. By partnering with specialized companies like Radium One this magazine could sell its audience no matter where people will be. The common denominator will be that these people have visited the magazine website. So media owners could potentially sell more impressions than never. And this means more money. If media owners start embracing programmatic more and more, all the brands will need to align or simply they might not have any available inventory. In conclusion, programmatic is a reality. Publishers and advertisers are step by step embracing this new era of media. Because we can target people in ways that we never could before, this new way of buying is possible today. It is all about the cookies! That is why certain countries require certain law reinforcements because cookie police became in certain cases very intrusive. So far people are pretty happy to give some of their personal information away within a cookie, otherwise we would all stop using the web browser we use and the search engines we search with. Would advertising be more efficient? It depends. People might be annoyed to see some incoherence between the environment they will be and the advertising message they will get in that same environment. Despite a digital life more and more predominant, we are still some how… Just humans. Info sourced at Forbes, International New York times, Radium one, Condénast network, wikipedia, Madhable and Techcrunch. All content is copyrighted with no reproduction rights available.